Welcome to SW1 Hair and Beauty. SW1 Hair and Beauty is an exquisite and fashionable salon in the High Street, Tunbridge Wells. We have a wide range of hair and beauty services and use the best products available to make sure every client has a truly memorable experience. Come and unwind at SW1 and let us pamper you from top to toe and, with our wealth of expertise, we can fulfil all your hair and beauty needs. All SW1 designers and beauty therapists have received the best training and will make sure every visit to SW1 leaves you feeling energised and looking your very best. We are known for our in-depth consultations which make sure you get the cut and colour that is best for you. This means you will leave SW1 with a style that complements the shape of your face, skin tone, personality and lifestyle. As soon as you come through our doors you can relax, knowing that we will give you all the care and attention you deserve. SW1 is not just about hair and beauty, it's about a whole approach to looking and feeling good and we will spend the time giving you expert advice and opinions on what will work for you. We guarantee you will be thrilled with the results. 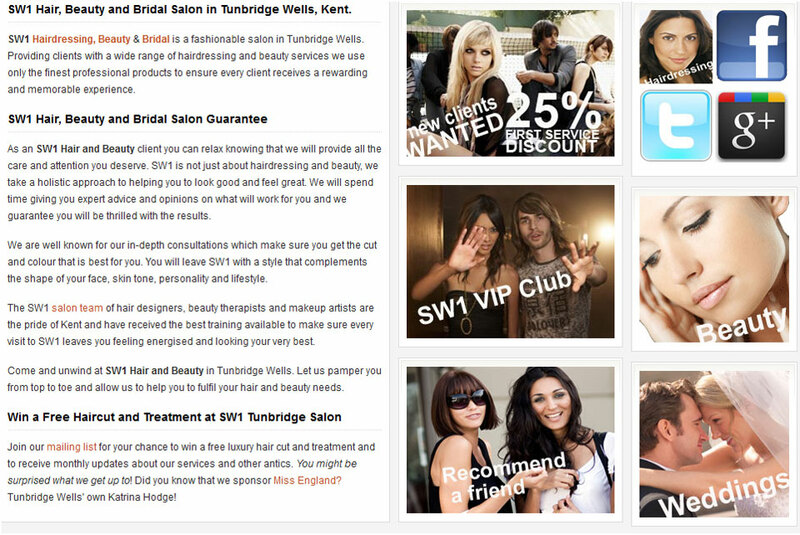 SW1 is a member of 365 Salon Success. A great company that provides a regular training and continuous education programme. It also gives us the tools to find solutions to any hair problems. We also belong to the National Hairdressers' Federation which promotes the very best in British hairdressing with training advice and business support.